12 cases of 12 #2 HB pre-sharpened pencils each, total 144. Break-resistant exclusiv graphite cores, hard to break. 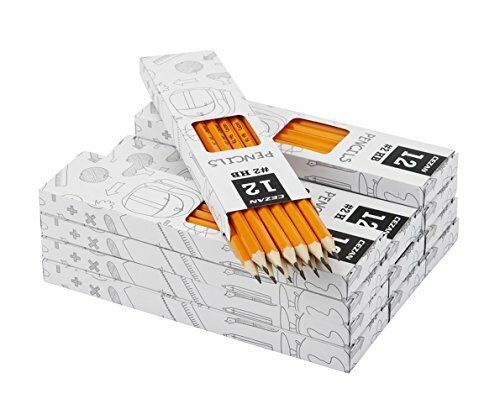 144 wood case yellow pencils come in a box of 12 cases of 12 #2 HB pre-sharpened pencils each. Non-Toxic, soft, latex free top erasers make sure it easy to wipe away mistakes. Crafted from high quality wood for easy sharpening with a matte finish for enhanced comfort. Click 'ADD TO CART' now,risk free, enjoy your purchase with our life time replacement guarantee. If you have any questions about this product by Cezan, contact us by completing and submitting the form below. If you are looking for a specif part number, please include it with your message.